The regular season has come to a close and playoff hockey is here. The First Round matchups have been set and home ice advantage has been determined. At the start of the playoffs, every club has an equal chance to win the Cup, so how do you choose which team will stand apart from the others at the end? It pays to understand what separates the 16 teams that have qualified for the postseason as you try to get ahead of the NHL Vegas odds. We’ll break down the top favourites in the NHL betting lines and discuss why each club holds their respective spots on the Stanley Cup odds board. If you’re hoping to cut your teeth on betting on playoff hockey, be sure to check out our NHL betting guide to make the most of your betting experience. The Tampa Bay Lightning reign supreme on the NHL Stanley Cup odds board. There’s no denying the calibre of the Lightning squad. They earned the fourth-most points in NHL history during a regular season (128), have three of the top 12 scoring players in the league, and scored 30 more goals than any other team during the regular season. Based on those numbers alone, Tampa is going to be a tough out in a best-of-seven series. That said, the other teams in the playoffs have the same chance as Tampa to win the Cup; let’s see how their NHL odds stack up. The only thing left for the Tampa Bay Lightning to do this season is to finish the job by winning the Stanley Cup. The next closest team in the NHL standings were 21 points back, so it wasn’t even close. If they continue that dominance into the postseason, MVP-candidate Nikita Kucherov is sure to be a big part of things. The Russian has 29 goals and 30 assists in 62 playoff games with the Lightning and is coming off of a career year, scoring 41 goals and registering 87 assists during the regular season.When reviewing the Tampa Bay Lightning’s 2018-19 season, one word comes to mind: dominance. Tampa has only lost 11 games in regulation all season and it seems that even on their worst nights, they can still find ways to beat the opposition. That ability to win on any night is owed to Tampa Bay’s deep lineup. Their top three offensive players, Nikita Kucherov, Brayden Point and Steven Stamkos, would lead most other teams in points scored, but here they all are on one club. It’s a rarity for a team to be so good offensively while still showing an ability to defend, and be elite in all facets of special teams. The combination of their big-game players and deep roster makes Tampa Bay the favourite on the Stanley Cup odds. In addition to finishing second in the standings, the Calgary Flames also hold second spot in the odds to win Stanley Cup glory. The Flames took fans and prognosticators by surprise this season by winning the Pacific Division for the first time since 2004-05. Johnny Gaudreau set new career highs with 36 goals and 62 assists, and will be key to the Flames’ offensive attack this postseason. In 2018, the Boston Bruins were a surprise playoff team, as they were thought to be in the midst of a rebuild. But this season, expectations were high for the Bruins. They didn’t disappoint, finishing second in the Atlantic Division behind the Lightning and showing that they can defeat any club on any night. Boston may have the perfect mix of wily veterans and experienced youth, so they’ll be a team to reckon with during the playoffs. For years, the San Jose Sharks have disappointed their fans and bettors during the NHL playoffs. They’ve qualified for the playoffs in 14 of the last 15 seasons, but have reached the Cup Final only once during that time. This season, they’ve put together a formidable offensive attack, ranking second in goals scored per game (3.52). The Sharks have shown that they can put the puck in the net with the league’s top teams, but there are still questions about the reliability of starting goaltender Martin Jones, who struggled to a .896 save percentage and 2.94 goals against average during the regular season. No one would have predicted that the St. Louis Blues would be among the favourites on the NHL lines when the calendar turned to 2019. They were last in the league and just fired their head coach. But since 2019 rolled over, the Blues, backstopped by rookie goaltender Jordan Binnington, amassed a 30-10-5 record, which was tops in the Western Conference. If they stay as hot as they’ve been, the Blues may be a sneaky buy-low option. After finishing atop the Metropolitan Division and collecting 104 points along the way, it may come as a surprise that the defending Stanley Cup Champions are listed at +1100 on the odds board. But Washington suffered a serious blow when top pairing defenseman Michal Kempny was lost for the playoffs due to injury. The Caps will need someone to step up in Kempny’s place if they hope to repeat in 2019. There’s no faster game in the world of sports than professional hockey. Since 1917, the NHL has captivated its fans with a beautiful combination of dazzling offensive skill, rugged physical force and acrobatic goaltending that can’t be found anywhere else. In Canada, children dream of winning the Stanley Cup and immortalize their favourite players by donning their jerseys. From Gretzky to Lemieux to Crosby, the NHL has produced some of the greatest sports heroes of all time. With this NHL betting guide, Bodog wants to bring fans closer than ever to the action, so you can take your love of hockey to the next level. Whether you want to bet on your favourite team, predict the Stanley Cup Champion or make the Hart Trophy race extra interesting, you can do that and more at Bodog Sportsbook. Read on for a list of all of the most popular betting options and we’ll explain exactly how to bet on the NHL. 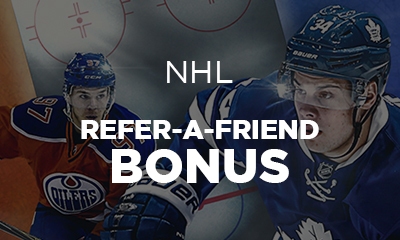 One of the most popular ways to bet on hockey is through NHL puck line betting. If you’re wondering what an NHL puck line bet is, don’t worry – you’re not alone. The puck line is a margin of victory that the dominant team must win by. Often a 1.5-goal spread, the puck line requires the stronger team (the favourite) to win by at least 2 goals, while allowing the underdog to lose by 1 goal and still cover the spread. Through the spread, the puck line evens out the playing field by making the underdog a more enticing pick. This makes it easier to balance the action. Montreal, the home team, is the favourite in this scenario. The “–“ negative sign in front of the spread always denotes the favourite. In order for a bet on Montreal to win, they must cover the spread by beating the Flames by at least 2 goals. If they win by only 1 goal, the bet loses. As for Calgary, a 1.5-goal underdog, they can lose by 1 goal and still cover the spread. The half-point in the spread ensures that all puck line bets will win or lose. If the spread were 2 goals, and the Canadiens won by 2 goals, bets on Montreal would result in a push. By looking at the odds in the parenthesis, you can tell how much money you’d win on either bet. Odds with a “–“ negative sign show how much you’d need to bet to make $100, whereas odds with a “+” positive sign show how much you’d win off a $100 bet. In our example, you’d win $150 off a $100 bet on Calgary. As for Montreal, you’d have to put down $110 to win $100. Oddsmakers are able to balance the action between both sides by shifting these odds. What are Moneyline Odds in NHL Betting? For no spread, betting on the NHL moneyline is available. With these bets, you simply pick the team you think will win the game outright. It doesn’t matter how many goals the team wins by – a win is a win when it comes to the moneyline. These bets are popular when there’s an underdog that looks poised to pull off an upset, as the underdog payout on the NHL moneyline odds board is often higher than what you’d get on the puck line. Let’s use the same example as before to illustrate a moneyline bet. Montreal is the favourite, as you can tell by the negative sign in front of their odds. They’re also the home team because they’re the second (bottom) team listed. With moneyline betting, you win less money when you bet on the favourite and more money when you bet on the underdog; this ensures the action is spread between both teams. The payouts that you get from moneyline betting are indicated in the odds, just as they were with the puck line. In this case, you’d win $100 when betting $135 on Montreal; bets scale up and down if you bet more or less than $100. As for Calgary, they had never won a Cup before the big win in 1989, so they were the underdog going into the game. A bet of $100 would have yielded a $170 payout – as they did end up winning that game. Oddsmakers can shift the odds to make sure the action is spread evenly between both teams. How does Betting on NHL Totals Work? In this example, oddsmakers think about 5 or 6 goals will be scored between both teams, so they set the NHL total at 5.5 goals. Once again, the half-number is used to avoid a push. Any time the actual game total matches the total predicted by oddsmakers, the result is graded as a push and all bets are returned. If you think a lot of goals will be scored, you can bet Over, and if 6 or more goals are scored between both teams, you win. With –120 odds, the Over pays $100 on a $120 bet. If you think the game will be more defensive, betting the Under will get you even money (bet $100 and win $100) if 5 or fewer goals are scored. 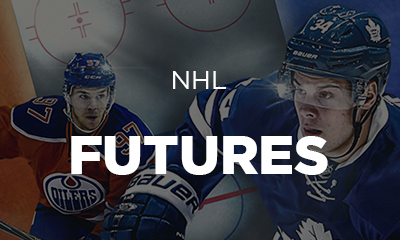 In addition to betting on individual NHL games, you can bet on big events by betting on NHL futures. Essentially, any long-term bet is considered a futures bet. Stanley Cup winners, Conference winners, and Division winners can all be found in the futures section of the sportsbook. But keep in mind, you won’t get paid for your bet until the result is settled, which is typically at the end of the season; that’s the nature of futures betting. Many futures bets are standard and offered every season. For example, at the start of every season, all NHL teams are given odds to win the Stanley Cup. For the 2017-18 season, these odds ranged from +800 to +20000. As the season progresses, the futures odds shift to reflect the probability of each team making it that far. As teams miss out on their opportunity to get into the playoffs, they’re scratched from the futures market. In general, the further ahead you place your futures bet, the better value you get. There’s less information to go on early in the season, which increases the risk and reward in a proportional way. It’s hard to tell who’s going to win the following year’s Stanley Cup in the offseason, but if you have an idea, you’ll get a big payday if you guess right. What are Props in NHL Betting? 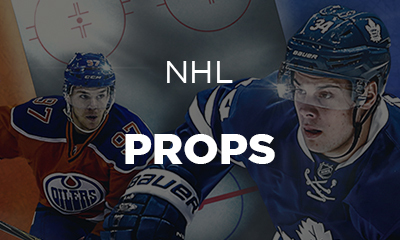 Short for proposition bets, NHL props are a fun way to bet on things other than the winner of a game or event. These side bets are a great way to add interest to the NHL season beyond trying to predict the top-performing teams. Once the oddsmaker comes up with a proposition, appropriate betting options, such as a “Yes” or “No,” a total, or a list of player names will be provided for the public to bet on. Here are some examples of the different ways to bet on props. A prop on players’ statuses or accomplishments can be found under Player Props. An example of a player prop is whether or not Edmonton Oilers captain Connor McDavid will score in a given game. Another example, which would also fall under NHL Specials, might be: Will Erik Karlsson or Max Pacioretty be traded at the Trade Deadline? This prop would include “Yes” or “No” betting options – each with its own odds. Anything involving the accomplishments or stats of a team is part of the team props. Examples of team props include regular season win totals and odds for each team making the playoffs. When there’s a big game coming up, you may want to bet on more than just the winner of the matchup. That’s where game props come in, providing many more opportunities to get involved in the game. For example, you could wager on the team to score first in the game or whether or not the game will go into Overtime. How do Parlays Work in NHL Betting? There are big benefits to grouping bets together. Through NHL parlays, you can combine 2 to 12 lines into one mega bet. 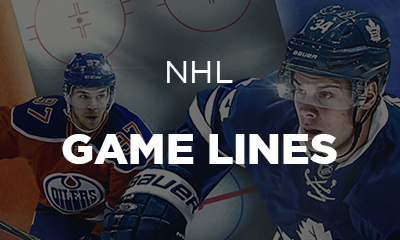 Lines that can be parlayed include totals, puck line and NHL line odds, and some props and futures. In order for the parlay to win, each bet within it must win. A single loss in a parlay results in a loss of the entire bet. To balance the increased risk, parlays offer much bigger payouts than single bets. Let’s use an example of an Ottawa Senators vs. Vancouver Canucks game to illustrate the difference in payout. Let’s say we want to parlay Ottawa winning on the moneyline (+130) with the Under winning on the totals (–125). We’ll put $100 on each line individually for a total of $200 staked. If both bets pan out, we win $210 total. However, if we parlay them together and bet a total of $200, we win $628 if both bets come through. The more teams you have in your parlay, the bigger the payout – as well as the risk. When using parlays, some of your lines will occasionally result in a push. When this happens, the line is removed from the parlay, which is then reduced in size. For example, if you have a four-team parlay and one bet pushes, your parlay becomes a three-team parlay by default. If you have only two bets in your parlay and one is a push, your parlay will turn into a single bet. There’s nothing more thrilling than betting on the NHL while the game is happening live. The puck line, moneyline and total are all available for live betting on the NHL, and their odds keep shifting to reflect the direction of the game. You can also bet on things like which team will score next, and which period will have the most goals. If there’s an injury to a key player, the odds will shift to reflect it. These scenarios are often full of value for sports bettors who are good at predicting come-from-behind wins. If you thought hockey couldn’t get more exciting than it already is, think again. NHL betting will add another layer of excitement to the frenzied pace of the game. Whether you like the big picture betting style of futures, or the detailed nature of props, Bodog Sportsbook’s got you covered for all things NHL.